For nearly 50 years, Met-L-Flo, Inc. has been a part of the metal forging industry through consulting and later additive manufacturing and 3D printing services. 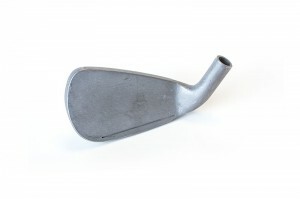 After adding additive manufacturing in 1991 the demand for Met-L-Flo’s services increased greatly and to keep up with changes in technology, they added other 3D printing services to their inventory to provide a variety of different processes to help create custom prototypes geared towards a wide range of applications and purposes. At Met-L-Flo, we are continually on a mission to exceed our clients’ expectations and are constantly seeking answers to questions that have yet to be asked. To learn more about our 3D printing and scanning services or if you have any questions about bridge tooling and manufacturing, give us a call today at 800-MET-L-FLO (800-638-5356). You can also reach us by filling out the easy to use contact form on this page and one of our knowledgeable associates will reply to your request as soon as possible. We excel in a variety of 3D printing techniques each with their specific purpose and for different applications. SLA or Stereolithography is the original process for rapid prototyping and utilizes CAD files to break down your concept into layers. As your prototype is being created, lasers help harden the material as layer upon layer is added to your prototype. SLS or Selective Laser Sintering is similar to SLA, but instead of using liquid resins, it sinters plastic powder to create your prototype. FDM or Fused Deposition Modeling uses extrusion technology to transform your concept into a 3D design. This method is ideal for prototypes that need to possess both form and function and is arguably the most commonly utilized method. For more information on our other 3D scanning and printing services, visit our prototyping page. For more information about our prototyping and manufacturing services or if you are in need of consultation regarding product design, call us today at 800-MET-L-FLO (800-638-5356). Or simply fill out the contact form on this page and we will get back to you shortly.